It’s an unprecedentedly weak position for a sitting president. After the 2011 election, leftist president Ollanta Humala controlled 47 seats, the largest congressional bloc (if still a minority). Even in 2006, president Alan García’s APRA managed to win 36 seat, the second-largest bloc after Humala’s forces. So it was a predictable embarrassment last week when the fujimorista Congress held a no-confidence vote on finance minister Alfredo Thorne. 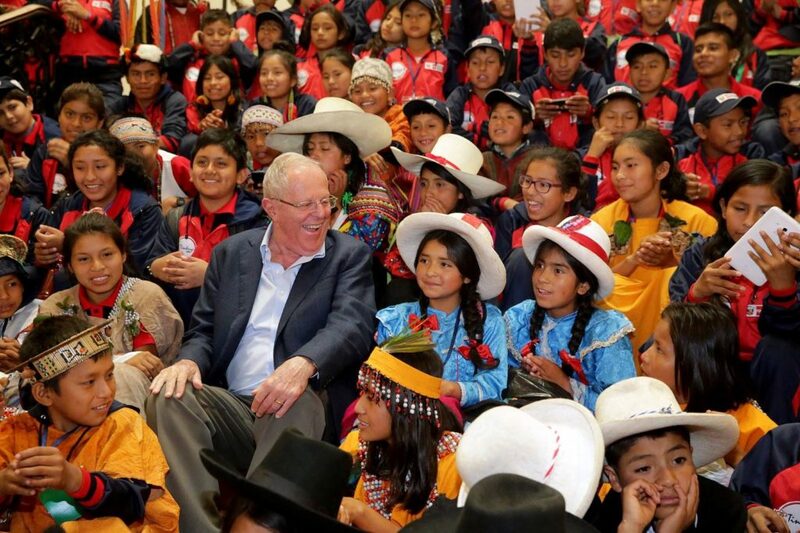 While it might be the most ignominious defeat for Kuczynski’s young presidency, it’s not the first time that his congressional foes have spurned him. Last December, they forced out education minister Jaime Saavedra, a holdover who was first appointed by Humala in 2013. Carlos Basombrío, PPK’s interior minister, could be next. Fernando Zavala, Kuczynski’s prime minister, assumed duties as economy and finance minister last week (reprising a role he held from 2005 to 2006, after Kuczynski was promoted to prime minister under former president Alejandro Toledo). Zavala’s position seems relatively safe, because if the Congress removes the prime minister twice (in essence, a vote of no confidence), the president will be able to dissolve Congress and call fresh elections. There’s no guarantee, however, that the Peruvian electorate would elect a radically more friendly body, given Fujimori’s strength among rural voters. Theoretically, Fujimori and Kuczynski should be allies. Both favor the essentially business-friendly, center-right approach that’s dominated Peruvian policymaking for more than a generation. In the 2011 runoff, after Kuczynski placed third, he even endorsed Fujimori over Humala. But many Peruvians still view her (and her father’s legacy) as toxic, and she has suffered for a decade from the impression that a vote for her would amount to a vote for pardoning her father, who is serving a 25-year prison sentence for abuse of power and human rights abuses. Increasingly, however, it looks like Fuerza Popular is willing to scuttle PPK’s presidency without a pardon. Peru’s Congress could become even more a family affair at the end of July when deputy Luz Salgado steps down as president of the Congress; one of the most popular figures to succeed her is Keiko’s younger brother, the 37-year-old Kenji Fujimori, a member of Congress since 2011 who harbors presidential ambitions of his own in 2021 or beyond. In the past, Kuczynski has adamantly refused to consider such a pardon, even on humanitarian grounds (Fujimori is not in great health). In the last week, however, he has been forced to reconsider the notion of pardoning Fujimori, an extreme step that would demonstrate just how much leeway the fujimoristas hold over his presidential ambitions. 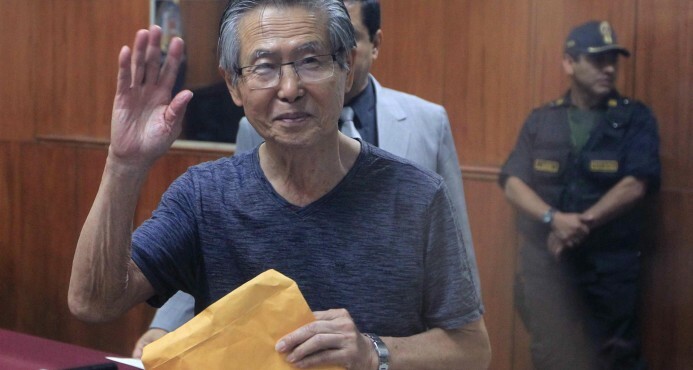 Perhaps Fujimori, if released (or put under merely house arrest), would be comfortable to live out his days in peace. But there’s a risk that a pardon might find him suddenly more healthy and willing to speak out politically, forcing Peru to relive the debate over his regime in the 1990s. Fujimori pere has a complicated legacy, even today, in Peru. Some voters view him as the country’s savior, ending endemic hyperinflation and restoring stability to the Peruvian economy, while ending the threat of Maoist insurgent group Sendero Luminoso (Shining Path). Others note the human rights abuses that he permitted during his decade in power, as well as the corruption allegations that have followed. Corruption has proliferated under his successors — for example, Toledo’s whereabouts are now literally unknown as the fugitive former president is on the run, avoiding jail. The strategy carries risks for Keiko (and Kenji) Fujimori as well. If her father is pardoned and returns to political life, in any capacity, it would undermine her attempts to demonstrate her respect for democracy and the rule of law. But even if a pardon ultimately proves innocuous for Peruvian politics, forcing such a personal victory will make Keiko the kingmaker of the Kuczynski presidency, an unofficial prime minister in all but name. Voters will certainly view her nearly as much of an incumbent by 2021 as they do PPK. For now, despite her protests, Fujimori is the heir apparent to the presidency and, in a sense, the greater role she plays in government during PPK’s presidency, the more experienced she would be if she wins in 2021. But she’s already fallen just short of presidential victory twice — the first time against a leftist military leader easily caricatured (at the time) as a chavista, then against a septuagenarian bore with a vaguely foreign-sounding name who personifies North American-style neoliberalism. Though Fujimori, at just 42 years old, is young, there’s no rule that says she must necessarily win the presidency in four years’ time. Both Mendoza and Guzmán will be young faces as well, and are nearly certain to make fresh bids in 2021. After essentially three decades of relatively liberal policies (even from Humala, who ran for the presidency in 2011 as a full-throated leftist and in 2006 as a center-left populist), Mendoza poses a stark contrast to a status quo that Fujimori increasingly embodies. Humala himself is considering a bid to reclaim the presidency in 2021 (former presidents can serve non-consecutive terms). So is Luis Castañeda, a two-time presidential candidate and currently the mayor of Lima since 2015 (his second stint, after serving from 2003 to 2010 and engineering the ouster of his successor, center-left).